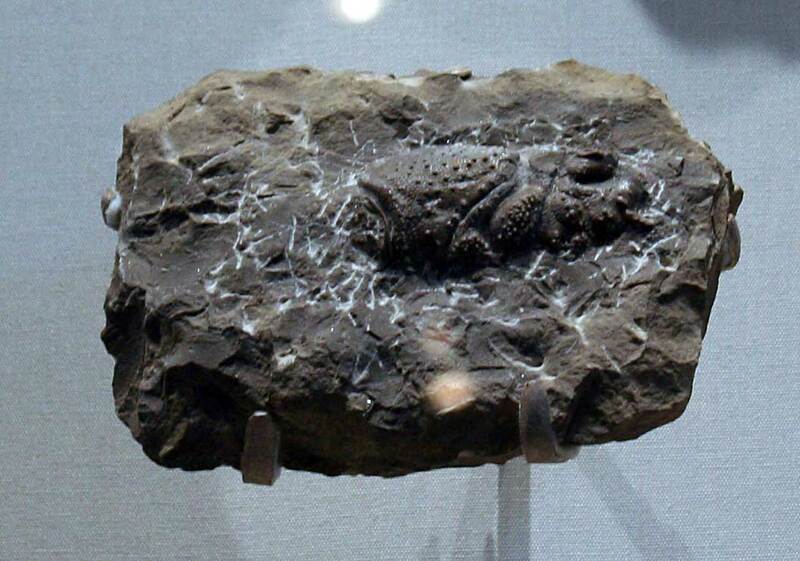 This arthropod fossil has been identified as a Pemphix sueri. This animal lived in the Middle Triassic seas and living life similar to today's lobsters. This creature still has crustacean relatives alive today in the Pacific Ocean. Fossil displayed at the Carnegie Museum of Natural History in Pittsburgh, Pennsylvania (July 2011) and has the accession numbers is CM 2526 and CM 2537.